Postać - Apprentice. Punkty: 11/14. Wytrzymałość: 11. 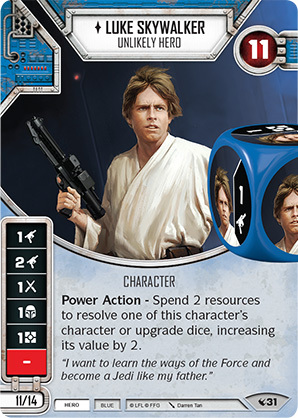 Power Action - Spend 2 resources to resolve one of this character's character or upgrade dice, increasing its value by 2.